Stew Leonard’s Apple Pie Milk a la Mode celebrates the season with the flavors of crisp fall apples and Stew Leonard’s dairy-fresh vanilla ice cream. It comes straight from their award-winning dairy farms in upstate NY and is free from artificial growth hormones (rBST) and antibiotics. This milk goes from the farm to each of their stores in as little as 24 hours. 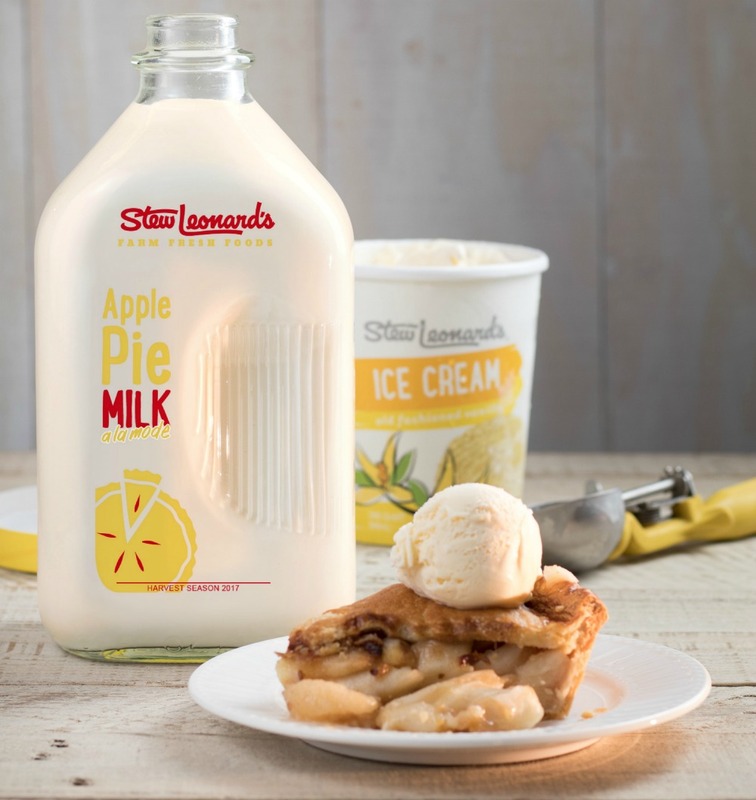 Stew Leonard's Apple Pie Milk a la Mode will be available starting on October 30 for a limited time. It is sold in a ½ gallon glass container for $5.99.